18. Why Is the Speed of Light Constant? Albert Einstein in 1931 by Doris Ulmann [Public domain], via Wikimedia Commons. A friend of mine on Twitter, Aaron (a pseudonym), is an overseas, 16-year old boy, who seriously admires Albert Einstein and wants to become a physicist. He continually writes me (Ted, also a pseudonym) questions about the theory of relativity and related topics, and I am sending answers. In this series of blog posts, those questions and answers are reproduced with modifications. I am not an expert in the fields of physics related to relativity. So, my answers might contain errors. If you find any error, please do not hesitate to write a comment for the benefit, not only of the boy and me, but also of other readers. Aaron: Why doesn't the speed of light change? Ted: It is gratifying that you think so deeply as to want to know the reason for the constancy of the speed of light in vacuum. However, no one knows the reason. It was initially Albert Einstein's assumption in developing the special theory of relativity. Then, many experiments have confirmed the correctness of the theory, and the assumption has been accepted as one of true facts. So, presently there is no reason or cause to which physicists attribute the constancy of the speed of light. By the way, I have learned, on Twitter this morning, the Reuters news that neutrinos were found to break the speed of light by a group of physicists working on an experiment dubbed OPERA, which was run jointly by the CERN particle research center and the Gran Sasso Laboratory in Italy. If this experiment be confirmed to be correct, it will make an immense challenge to theoretical physicists. Aaron: The news is extremely serious. The title of the report says, "Finding could overturn laws of physics." But it would not invalidate the theory of relativity, right? Ted: Yes, it would do so, to some extent. Namely, if the neutrino experiment were correct, it would require a correction of the theory of relativity. However, many experiments and observations have been consistent with that theory. Further, neutrinos produced by the explosion of the 1987 supernova arrived at the earth not earlier than light from the same source. So, I highly doubt the correctness of the experiment just reported. In March 2012, the OPERA team confirmed that the measurements first announced in September 2011 were skewed by a combination of a faulty cable and flawed timing in the experiment’s master clock (Ref. 1). The group repeated its measurement and have reported the final results that are consistent with the special theory of relativity (Ref. 2; see also Ref. 3 for the whole story about the measurement of the neutrino speed). I was not surprised at reading the news of possibly wrong measurements because I had once encountered a paper that reported the results of erroneous measurements in the prestigious journal Physical Review (the author's name was Dressel). The results were inconsistent not only with many previous authors' but also with my own that had just been obtained. Thus, I was able timely to publish my results in the same journal, pointing out possible causes of errors in Dressel's measurements. (You can see the abstract of my paper here.) Later, Dressel found the real cause of errors by himself. Some or many scientists believe "it is right to release an 'uncomfortable' result for scrutiny and then seek an instrumental or methodological effect that might explain it," as the OPERA spokesman Antonio Ereditato is reported to have said (Ref. 1). E. S. Reich, "Embattled neutrino project leaders step down," Nature (April 2012). The OPERA Collaboration, "Measurement of the neutrino velocity with the OPERA detector in the CNGS beam using the 2012 dedicated data," arXiv:1212.1276 [hep-ex] (December 2012). "Faster-than-light neutrino anomaly," Wikipedia, The Free Encyclopedia (15 December 2012 at 14:07). 17. What Is Golden Physics? 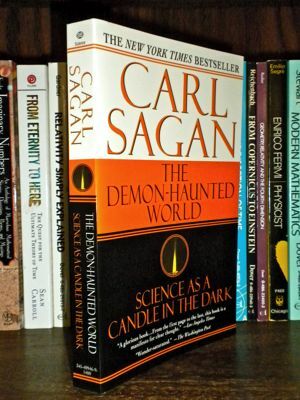 Carl Sagan's The Demon-Haunted World explains methods to help distinguish between ideas that are considered valid science, and ideas that can be considered pseudoscience. — "The Demon-Haunted World," Wikipedia: The Free Encyclopedia (November 12, 2012 at 02:36). Aaron: I just wanted to ask you about golden physics. What is it? Ted: I have never heard of the phrase "golden physics" and would like to confirm if you mean "golden age of physics." If you mean any other thing, please let me know where, or in relation to what, you got the phrase. Aaron: Have you heard about the physicist Mohamed El Naschie? It is his theory. The page mentioned has the link to the El Naschie Watch Web site (Ref. 2). This is the blog site that describes critically about this man in detail and includes the words, 'Dr. Mohamed El Naschie is pseudoscientist crackpot who makes grandiose claims about being a "paradigm-shifting" high-energy physicist' (Ref. 3). From the descriptions of his work on Ref. 1, I believe that the words "pseudoscientist crackpot" is quite true and do not recommend you to learn about his physics. "Mohamed El Naschie," RationalWiki (August 21, 2012, at 16:56). El Naschie Watch, Blog site. "Introduction to Mohamed El Naschie," El Naschie Watch (May 6, 2010). "Mohamed El Naschie," Wikipedia: The Free Encyclopedia (December 13, 2012 at 12:58). 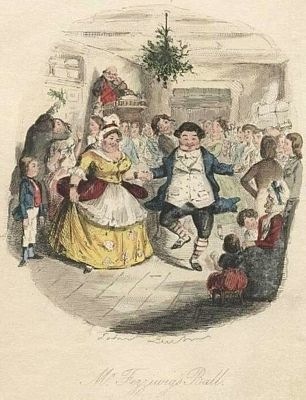 Hand colored etching Mr. Fezziwig’s Ball by John Leech from A Christmas Carol by Charles Dickens. [Public domain], via Wikimedia Commons. A Christmas Carol is considered to be one of the first depictions of time travel in both directions, as the main character, Ebenezer Scrooge, is transported to Christmases past, present and yet to come. Aaron: I think they say that there is a paradox about time travel. What is it? Ted: Any theory that would allow time travel would require that problems of causality (the relationship between the cause and effect that the former should come before the latter) be resolved. From this viewpoint, the concept of time travel seems to give contradictions, examples of which are stated as paradoxes. One of the best examples is the grandfather paradox. The grandfather paradox is a hypothetical situation in which a time traveler goes back in time and attempts to kill his grandfather at a time before his grandfather met his grandmother. If he did so, then his mother or father never would have been born, and neither would the time traveler himself. In that case, the time traveler never would have gone back in time to kill his grandfather. This is in contradiction to the assumption at the start. This paradox has been used to argue that backwards time travel must be impossible. A number of hypotheses have been postulated to avoid the paradox, such as the idea that the past is unchangeable. However, any of those hypotheses has not become an accepted theory because the theoretical possibility of time travel itself is unknown. To write the above explanations, I referenced the Wikipedia pages of "Time travel" (Ref. 1) and "Grandfather paradox" (Ref. 2). So, if you want to learn in more details, you can consult those pages. Aaron: It's amazing. Now, I have an idea about how to go backwards in time. Time is like a line and flows in one direction, like a river, and we can go in both directions, in a river. This means that we can also control ourselves in time. If we can go back in time, we can kill Hitler and make the future without stupid World War II. But, I have to find how this is possible in a theoretical way. What do you think? Is it funny? Ted: Your idea is appealing. However, it does not seem to be a physical idea about how to go backwards in time, but I'm afraid that it is an idea about what you would like to do if you could go backwards in time. Further, only killing Adolf Hitler would not prevent the World War II totally. You may need to kill also Benito Mussolini in Italy and Hirohito in Japan and to change all the factors related to nationalism or imperialism and international tensions of those days. However, your idea also included a good point. If you go backwards in time not to kill your grandfather but to kill Hitler, you can escape the paradox of your not being born. Thus, your idea is a good step toward the solution of the paradox. I compared your idea with Novikov self-consistency principle. This principle was proposed by a Russian (and former Soviet) theoretical astrophysicist and cosmologist, Igor Dmitriyevich Novikov, in the mid-1980s and have been regarded as an important contribution to the theory of time travel (Ref. 3). I have just learned it from Wikipedia. According to this hypothetical principle, the only possible time lines are those entirely self-consistent. So, anything a time traveler does in the past must have been "part of history all along." Your idea is partly similar to this principle, in the successful removal of the inconsistency about the time traveler's birth, though killing Hitler is inconsistent with the real history. You can have confidence in your ability of thinking about physics. Time travel, Wikipedia, The Free Encyclopedia (December14, 2012 at 23:29). Grandfather paradox, Wikipedia, The Free Encyclopedia (December17, 2012 at 08:09). Novikov self-consistency principle, Wikipedia, The Free Encyclopedia (November 26, 2012 at 03:04). 15. What is String Theory? Aaron: What is string theory? I have read a little about it. It seems to be the theory of everything that Einstein was working on. Dr. Michio Kaku is probably working on how to find it. However, there are many equations in this theory. How can I understand it? Ted: "What is string theory?" is a difficult question for me. In my student days, this theory was not yet born. So, some years ago I wanted to learn a little bit of it and bought a graduate level text book on this theory written by the physicist you just mentioned, i.e., Michio Kaku. However, it was pretty difficult for me to learn it by myself, and I have not read the book yet. 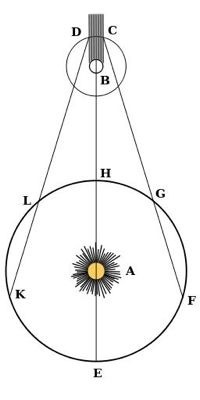 The essential idea of string theory is that all of the different "fundamental" particles are different manifestations of one basic object, a string (see the figure above). I hear that the equations of this theory gives a lot of solutions, and presently it is difficult to determine which of those solutions reflect the laws of physics in the real world. In this situation, there is the supposition that there may be many worlds, in each of which one of many solutions is applicable. (However, it is a vexing problem how we can verify the applicability of solutions in other worlds). A number of gifted physicists are studying this theory, but some famous physicists do not think that this is the right direction to advance the study of theoretical physics. Further, it is said that we humans don't yet have enough mathematical methods fully to explore this theory. String theory is such a complex and difficult thing. You had better learn it after enough mastering of quantum mechanics and relativity. Taking such a step is indispensable also considering the fact that string theory aims at the unification of quantum mechanics and general relativity. However, there are a number of Web pages explaining string theory for non-scientists. See, for example, Ref. 1 and links given in it. Alberto Güijosa, What is String Theory? Leo Tolstoy. By Scan by User: Gabor [Public domain], via Wikimedia Commons. These days I am reading Leo Tolstoy's autobiographical novels Childhood, Boyhood and Youth by Japanese translations in Shinchō World Literature Volume 16 (1972). In the first half of Youth, there is an episode that the hero, "I", passes the entrance examination to the mathematics department of a university. The examination is made in the following manner: Each applicant takes a piece from the problem cards held by a professor and answers to the problem chosen, in front of the professor. In the mathematics examination, there were two professors. The hero was called at the same time as another applicant, and they secretly exchanged the cards they chose. The card the hero initially took was of the problem about "combinatorics," which he thought difficult. However, the question he got by exchanging the cards was about "Newton's binomial theorem," which he had tried to solve just before the examination. Thus, the hero was able to answer it perfectly. Reading this, you may wonder if Tolstoy studied in the mathematics department. In fact, Tolstoy began studying law and oriental languages at Kazan University and left university in the middle of his studies (Ref. 1). Therefore, the story of the entrance to the mathematics department is fictional. I learned "combinatorics" and "the binomial theorem" in senior high school. However, the latter was not Newton's but the basic one. The basic "binomial theorem" describes a formula for the algebraic expansion of nth power of a binomial x + y, where n is a positive integer. Isaac Newton generalized the formula to allow real exponents, and the formula can be generalized further, to complex exponents (Ref. 2). It was probably at university that I learned about generalized binomial theorem. Therefore, Newton's binomial theorem seems to be too difficult for the entrance examination of university. It is also strange that the hero thought Newton's binomial theorem easier than combinatorics. This is because we learn combinatorics as preparation for studying the basic binomial theorem. Thus, I guess that problems of mathematics were also invented by Tolstoy on the basis of his superficial knowledge of these terms of mathematics. What do you think? 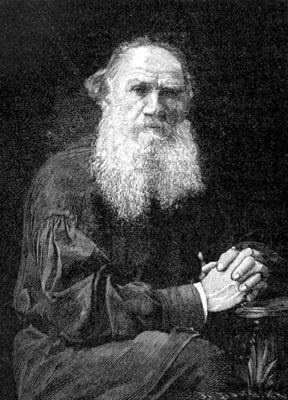 "Leo Tolstoy," Wikipedia: The Free Encyclopedia (December 8, 2012 at 19:10). 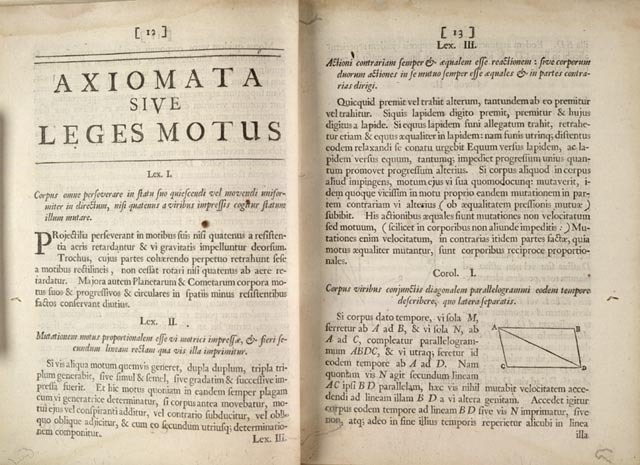 "Binomial theorem," Wikipedia: The Free Encyclopedia (November 25, 2012 at 04:39). Kamefuchi likens the three elements in the above quotes, i.e., feeling, understanding and knowing to three stages of research in theoretical physics, i.e., (I) practitioner's stage, (II) theorist's stage and (III) natural philosopher's stage. Then, he thinks about the question in which stage each of Hideki Yukawa, Sin-Itiro Tomonaga, and Shoichi Sakata was good at working or liked to work, in order to classify them into corresponding three types, I, II and III, of physicists. Sakata was called a person of methods and his successful studies, i.e., the two-meson theory and the Sakata model of elementary particles were phenomenological. From these facts, Kamefuchi classifies Sakata into type I.
Tomonaga had an excellent mastery of mathematics and expertise in constructing theories based on different physical requirements, producing the super‐many‐time theory, which lead him to the finding of the renormalization method and to the winning of Nobel Prize. Thus, Kamefuchi classifies him into type II. Yukawa's work to create a comprehensive theory of particles starting from "nonlocal fields" or "elementary domains" corresponded to the process of going from knowing to understanding and to feeling, but was not completed. However, Yukawa said in his later year, "Such a fundamental theory was my ultimate purpose, and the meson theory was a byproduct on my way." Yukawa often presented his opinion about various cultural problems (creativity, genius, learning, peace, etc. ), displaying his characteristic of being an excellent thinker in culture as well as in physics. From these facts, Kamefuchi classifies Yukawa into type III. The fact that Yukawa, Tomonaga and Sakata belonged to the three different types was rather lucky to the development of particle theory in Japan. The three leaders played the role of antithesis against each other so that the study of particle physics in our country made a balanced progress. […] I believe that this was the basis of the Nobel-prize winning studies by the physicists of the next generation, Yoichiro Nambu, Masatoshi Koshiba, Toshihide Maskawa and Makoto Kobayashi. Once I classified theoretical physicists into three types according to their different styles of approach, and called them Heisenberg (H), Einstein (E) and Dirac (D) modes, referring to their most characteristic contributions respectively, i.e., quantum mechanics, theory of gravitation and the Dirac equation. Heisenberg’s is heuristic, bottom-up and inductive. Einstein’s is axiomatic, top-down and deductive. Dirac’s is abstract, revolutionary and esthetic. It would be safe to say that Yukawa belonged to H when he proposed the meson. He failed in E when he tried his hand at nonlocal theory. I have a bit of difficulty applying this to Tomonaga, but I will assign him to E. Most theorists belong to H or E. But, when it comes to contrasting Yukawa and Tomonaga, it may be appropriate to use the analogy to designer vs. craftsman. Kamefuchi's type II and type III seem to correspond to Nambu's H mode and E mode, respectively. However, when we consider the corresponding categories identical, it causes inconsistency between Kamefuchi's and Nambu's classification of Yukawa and Tomonaga. The inconsistency comes from the difference in the viewpoint between Kamefuchi and Nambu. Namely, Kamefuchi attach importance on the physicist's preference of a method, especially for the classification of Yukawa, and Nambu, on the physicist's successful work. On the other hand, Kamefuchi's type II and type III seem to correspond to Nambu's category of craftsman and that of designer, respectively. In this case, we can regard the corresponding categories as nearly equal without causing inconsistency between Kamefuchi's and Nambu's classification of the two physicists. The consistency in this case arises because Nambu's classification here is based on methodology of the physicists, similarly to Kamefuchi's. S. Kamefuchi, Tosho No. 766, p. 2 (December, 2012) in Japanese. English translation has been obtained from: Antonio Gramsci, Selections from the Prison Notebooks, edited and translated by Q. Hoare and G. N. Smith, p. 767 (ElecBook, London, 1999). I had ever made in my life" were first written. Aaron: Why is the universe expanding? Where is gravity? What about Einstein's relativity? Some scientists say that the universe is expanding because of dark energy, don't they? Ted: The expansion of the universe is considered possibly due to the initial condition of the Big Bang, with which our universe started. In 1998, two teams of astronomers suggested on the basis of their observations of Type Ia supernovae that the expansion of the universe had been accelerating. (Saul Perlmutter and Adam Riess of the U.S. and Brian Schmidt of Australia contributed to this finding and won Nobel Prize in Physics in 2011.) Until this discovery, physicists were convinced that gravity should be causing the expansion rate of the universe to slow. To explain the accelerated expansion, dark energy, which produces the mysterious force to repel gravity, was proposed and has been constituting the most accepted theory. Scientists are still trying to find what dark energy exactly is (Ref. 1). As explained above, dark energy is the notion that appeared after the discovery of the accelerated expansion. With regard to the relation between the expansion of the universe found earlier and the relativity theory, there is a fascinating history. 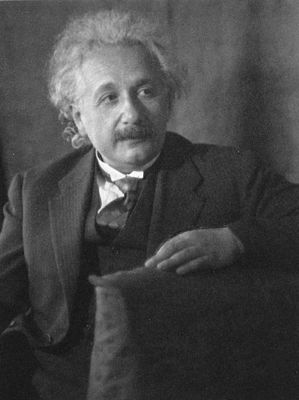 After formulating the equation of general relativity, Einstein tried to find the distribution of masses that would lead to a stable universe unchangeable with time (a static universe was the prevailing hypothesis those days). He found that the equation was incorrect to produce such a universe. Therefore, he added a term to the equation, which became known as the "cosmological term" or the "cosmological constant." The Russian mathematician Alexander Friedmann found that Einstein's treatment had been wrong and that the original equation of general relativity was correct to predict time-dependent universes as well including an expanding one, which became the observational fact by Edwin Hubble's work, in the late 1920s, of measuring the redshifts of light from galaxies. Thus, changing the original equation was a mistake, and Einstein once told Gamow that the introduction of the cosmological term was the biggest blunder he had ever made in his life (Ref. 2). One possible source of dark energy, supposed to explain the accelerated expansion, is the "cosmological constant," a constant energy density filling space homogeneously, and the other is scalar fields (Ref. 3). Therefore, Einstein's biggest blunder has become a central concept of the present cosmology. Note: Earlier, Aaron asked what would happen to the relativity theory if dark energy were true (see here). I took this as the question about a possible failure of general relativity under the presence of the accelerated expansion. So, I quoted from Ref. 4 the description of some theorists' thought that a failure might happen on scales larger than superclusters. However, the equation of the general relativity with the cosmological constant might prove to be an excellent theory except for such an extreme case. Physics Nobel Explainer: Why Is Expanding Universe Accelerating? National Geographic, Daily News (October 2011). 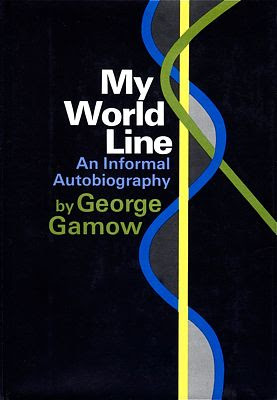 George Gamow, My World Line: An Informal Autobiography (Viking, New York, 1970) p. 44. 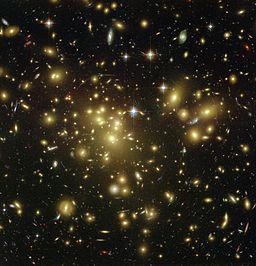 Dark energy, Wikipedia, the free encyclopedia (November7, 2012 at 00:22). a different setup for improved accuracy. For details, see the "Eötvös experiment"
[Public domain], via Wikimedia Commons. Aaron: When a body travels at the speed of light, it's mass will be much bigger than at rest. But what about its gravity or weight? It will also be much bigger than at rest. Is this correct? Ted: It is an excellent question, but I have to correct the expression of your question a little bit before answering it. The body of non-zero mass cannot travel with just the speed of light but can only approach that speed. So, you should say, "When a body travels near the speed of light, …" You're right to expect that when a body's mass becomes larger with increasing speed, the body's weight or the gravitational force acting on the body also becomes larger compared with its weight when it was at rest in the same gravitational field. This is the result of "the equivalence principle" of general relativity, i.e., the law of the equality of the inertial and gravitational mass. Since the 17th century, repeated experiments demonstrated that inertial and gravitational mass are equivalent. One of the methods of such experiments is shown above. In 1915, Einstein included this observation a priori in the equivalence principle of general relativity. Aaron: Thank you so much for your answer. By the way, Have you heard about Dr. Who? Ted: No, I have not. I am not so much interested in science fiction stories except for old ones. However, I have learned from Wikipedia the followings about it: Doctor Who is a science fiction television program produced by the BBC and originally broadcast from 1963 to 1989. The program depicts the adventures of a mysterious, time-traveling humanoid alien who is known only as the Doctor and explores time and space in the "TARDIS," a sentient machine for four-dimensional traveling. (There is further information about its history, episodes, characters, etc. in the Wikipedia page) Thanks for your mentioning of Dr. Who. "Mass versus weight," in Wikipedia, the free encyclopedia. Ms. C.W in Beijing and I made research exchange for many years. Even after both of us retired, friendship has been continuing. Past July, I heard on TV that the heaviest rainstorm in Beijing in six decades has killed at least 37 people and flooded streets. So, I sent her an email message of sympathy. She sent me a reply message on September 1, together with the following postscript in Chinese, "钓鱼岛是中国领土，不容任何人侵占！" These words mean: Diaoyu Islands are China's territory. No one is allowed to invade! Thanks for your reply of September 1. I'm glad to hear that you are fine and that students have started the new semester well in Beijing. I feel sorry that Japanese Government has an opinion different from China about 钓鱼岛 and wish that the problem be solved peacefully by mutual analysis of historical facts. Records show that the islands were first found, named and used by the Chinese, and have been included in Chinas’ maritime defense sphere since the Ming Dynasty (1368–1644). Japan seized the islands through illegal means at the end of the Sino-Japanese War (1894–95), but two key declarations during World War II, Cairo and Potsdam, legally returned the islands to China (1943–). Japan's stance on the islands is a blatant denial of victory of a global antifascist war and a serious challenge to the post-war international order. Thank you so much for your explanation about China's view about Diaoyu Islands and the attachment of a copy of a Chinese newspaper article. After sending the above message, I made a little study of Senkaku/Diaoyu Islands dispute on the Internet (Refs. 1–3) and have learned that even two Japanese historians, at least, state that the islands are China's territory (Refs. 2, 4, 5). The following quote from Ref. 2 should also be noted. Japan's false claim of its purported "discovery in 1884" of the Diaoyu Islands as uninhibited isles contradicts with the navigation map in its own 1783 historical document, Sankoku Tsuran Zusetsu, published by a prominent scholar Hayashi Shihei clearly stating the area a part of China. Professor Murata said, "We tend to take the opinion of the government, political parties and media as being the correct views and accept them readily; however, those opinions do not necessarily represent the truth. To us scholars, what is important is what is real, what is true, not the national interest; over this point, political parties and media have the same problem." From what I have learned, I strongly urge the Japanese Government first to negotiate open-mindedly with China or at the International Court of Justice about this dispute in order to verify if their claim is justified before thinking about defending the islands by force. Jane Perlez, "China Accuses Japan of Stealing After Purchase of Group of Disputed Islands." New York Times (September 11, 2012) and readers' comments on this article. Kiyoshi Inoue, "Japanese Militarism & Diaoyutai (Senkaku) Island – A Japanese Historian's View." Web Site Asian Holocaust. Gavan McCormack, "Small Islands – Big Problem: Senkaku/Diaoyu and the Weight of History and Geography in China-Japan Relations." The Asia-Pacific Journal Vol. 9, Issue 1, No. 1 (January 3, 2011); Japanese version is available here. 井上清, 「尖閣」列島―釣魚諸島の史的解明 (第三書館, 東京, 1996). 村田忠禧, 尖閣列島・釣魚島問題をどう見るか―試される21世紀に生きるわれわれの英知 (日本僑報社, 東京, 2004). 和文概要がこちらにある. Nicholas Kristof, Look Out for the Diaoyu Islands, New York Times (September 10, 2010). Han-Yi Shaw, The Inconvenient Truth Behind the Diaoyu/Senkaku Islands, New York Times (September 19, 2012). Nicholas Kristof, More on the Senkaku/Diaoyu Islands, New York Times (September 20, 2010). An obituary of Tonomura also appeared at the Web site of European Superconductivity News Forum. Besides his achievements described in the above report, the experiment in which Tonomura and his coworkers showed the quantum interference of single electrons is famous because Robert Crease mentioned it in his book "The Prism and the Pendulum: The Ten Most Beautiful Experiments in Science" (Random House, 2003; paperback, 2004). We can see the movie of this experiment in the video of Tonomura's lecture delivered at the Royal Institution in 1994. It is quite a pity that the possibility of Tonomura's receiving Nobel Prize was lost by his passing. Subject: Some words about "Quantum mechanics: Japanese contributions to its fundamentals"
I read your article published in Butsuri Vol. 60, No. 1, p. 3 and learned much from it. I am only afraid that the expression, "S. Weinberg who made the final theory and got Nobel Prize," in line 8 of the second paragraph, Chapter 1, is not correct. Surely, Weinberg published a book entitled, "Dreams of a Final Theory" (1992; paperback 1994). However, such a theory is yet dreams of physicists, just as the whole title of his book indicates. What is made by Weinberg and Abdus Salam independently and extended by Sheldon Glashow is the unification of electromagnetism and the weak interaction, and it is part of what is called the Standard Model. We hear that the purpose of the series of papers "Physics in Japan: The Past 100 Years and the Prospect," of which yours is one, is "to tell the public about the deep interest and charm of physics." Then, it would extremely be important to describe correctly even about minute points. I would like to recommend you to publish a correction in the next issue. Subject: Re: Some words about "Quantum mechanics: Japanese contributions to its fundamentals"
Thank you for your email message in which you pointed out an error in my paper. Surely, the expression, 'S. Weinberg who "made" the final theory and got Nobel Prize,' is incorrect. Passages of the paper have been much modified by the instruction of the editorial committee that senior high school students should be able to understand them. Therefore, I would like to consult a member of the committee to publish a correction. I have browsed your home page and been much impressed to learn that it contains newest information not only about science but also other wide fields. I hope that your activity proceeds further. 12. If Dark Energy Is Real, What Will Happen to the Relativity Theory? Estimated distribution of dark matter making up 22% of the mass of the universe and dark energy making up 74%, with 'normal' matter making up only 0.4% of the mass of the universe. By PeteSF at en.wikipedia [Public domain], via Wikimedia Commons. Aaron: If dark energy* is true, what will happen to the relativity theory? "Some theorists think that dark energy and cosmic acceleration are a failure of general relativity on very large scales, larger than superclusters. However, most attempts at modifying general relativity have turned out to be either equivalent to theories of quintessence, or inconsistent with observations." Thus, we can assume that, at the worst, general relativity might be necessary to be supplemented by a new theory for extremely large distances beyond the size of superclusters. Even in that case, however, it would not mean that general relativity was wrong but that it was a highly accurate approximation to the true theory of gravitational phenomena. "Dark energy," Wikipedia: The Free Encyclopedia (11 February 2012 at 02:02). 11. How Do We Prove a=F/m? Aaron: How do we prove a=F/m? Ted: Your question is considered to be equivalent to this: Can we derive Newton's second law of motion F=ma from a more fundamental principle? (Here, F is the net external force acting on a body, m is the mass of the body and a is the acceleration the body obtains.) We cannot derive this equation from any other principle. Newton assumed it and presented it as a law. The validity of the equation can experimentally be confirmed. 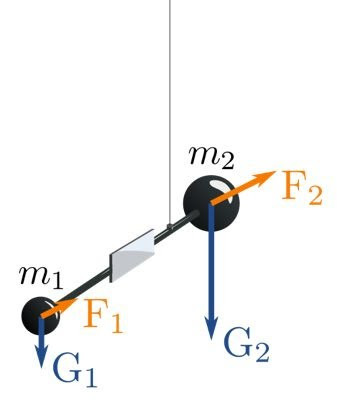 For example, we measure accelerations of the bodies of different masses by applying the same force to find that the result is inversely proportional to the known masses. Another confirmation comes from the application of the law to planetary motion. The law combined with Newton's law of universal gravitation neatly explains Kepler's laws of planetary motion empirically found. Thus, the equation is certainly a law. This law can be considered equivalently as a fundamental postulate in the (classical) mechanics of a particle* or as a definition of force and mass . * The mechanics of a particle treats the motion of bodies (objects) which are considered or idealized as a particle, in the sense that the extent of the body is neglected in the evaluation of its motion, i.e., the object is small compared to the distances involved in the analysis, or the deformation and rotation of the body is of no importance in the analysis . By the way, April 18 was the anniversary of Albert Einstein's death, so that I made a short blog post about it. Please enjoy the article here. H. Goldstein, Classical Mechanics (Addison-Wesley,1950) p. 1. 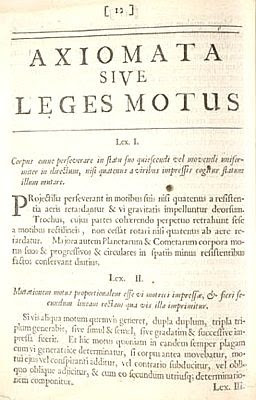 "Newton's laws of motion," Wikipedia: The Free Encyclopedia (19 February 2012 at 09:36). 10. Body's Mass Increases with Increasing Speed. Then, Why Is Light Mass Zero? Aaron's question of this time is closely related to the question made in the fifth story of this series, "The object's mass is zero when it is traveling at the speed of light, right? Where does its mass go?" Ted's answer to that question seems to have been insufficient for his understanding. Aaron: According to Einstein's relativity, the mass of a body will increase when its speed approaches the speed of light, right? Then, how does it come that light has zero mass? Ted: The relativistic increase of mass is caused, so to speak, as a result of "prohibiting" the acceleration of a body with a finite rest mass to a speed equal to or larger than the speed of light in vacuum. The light quantum, or the photon, has zero mass and always has the maximum constant speed without getting acceleration, so that no "prohibition" works on light. Light is a distinct entity in the Universe. The above explanation is quite metaphorical. Physicists' understanding is just that the photon always has zero mass and light speed without suffering any change, even independently of relative velocity of the observer to the photon, because this hypothesis proposed by Einstein is consistent with every observation. On January 23, 2012, I received an email message with an attachment from my former coworker Pedro Andreo in Stockholm. The attachment was a PDF file of the latest issue of European Medical Physics News , in which the report of interview with him  and a page in memory of Hans Svensson  were contained. Pedro is one of two authors who wrote about memories of the Swedish radiation physicist Svensson on that page. Searching on the Internet, I found the report "Hans Svensson — In memoriam"  written in Swedish. According to the report, Svensson died on December 7, 2011, after a short illness. He was born on March 18, 1935, and began his academic career as a student in Lund in 1956. In 1963, he came to Umeå as a medical physicist and received his doctorate there in 1970 in the subject of radiation physics. 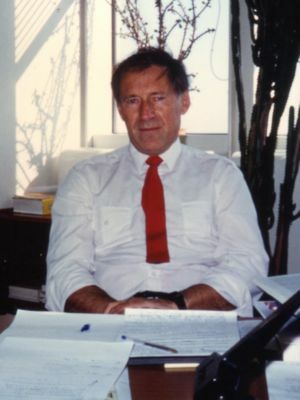 In 1982, he became full-time professor of radiation physics associated with the mission of an operation manager, a position he held until his retirement in 2000. During his career, he had significant international commitments and received a number of prestigious awards. He has been active professor emeritus at Umeå University since 2000. Pedro praises Svensson's work done as the Chairman of Report Committee for ICRU Report 35  by the words "probably his greatest single achievement" . I learned Svenssons's name well before the publication of this report, probably by ICRU Report 21 , which was the earlier version of ICRU Report 35 with an essentially same title as that and contained seven papers of Svensson's group in its list of references. * I talked with Svensson twice, once on a day of the International Conference on Radiation Research held in Tokyo in 1979 and next in his office at IAEA in May 1989 (the above photo was taken on the latter occasion). Both our meetings were of a short time, but I vividly remember his kindness. Indeed, it was he who gave me helpful advice to cooperate with Pedro. ** I sincerely pray for Hans Svensson to sleep peacefully in heaven. European Medical Physics News, Winter 2011/12 (2012). "Pedro Andreo — the road to and through Medical Physics," ibid. p. 6. "Hans Svensson — one of the Pioneers in our field," ibid. p. 23. M. Karlsson, "Hans Svensson — In memoriam," Web page of Radiofysik.org (2012). Radiation Dosimetry: Electrons with Initial Energies Between 1 and 50 MeV, ICRU Report 21 (International Commission on Radiation Units and Measurements, 1972). Radiation Dosimetry: Electron Beams with Energies Between 1 and 50 MeV, ICRU Report 35 (International Commission on Radiation Units and Measurements, 1984). * By the way, the list of references in ICRU Report 21 also contained six of our papers on the work done at Radiation Center of Osaka Prefecture; and a similar list in ICRU Report 35, five later papers on our work. ** The collaboration produced 11 papers published in refereed journals in the period 1991–1998. Aaron: Oh my God! That smile of Einstein! I'm gonna die. I want a hug from him! He's cute, isn't he? Ted: You have a sizeable collection of photos of Einstein and talk about him like a lover. Now there are a lot of biographies of him for people from young to adult ages (a search of paperbound books by the key words "biography Einstein" at Amazon.com gives a list of about 500 titles). Have you read any of those for adults? I liked a book written in a relatively early year (first published in 1972). It is entitled "Albert Einstein, Creator and Rebel." The author is Einstein's close collaborator Banesh Hoffmann. Another book about Einstein I recommend to young people is "Einstein: A Centenary Volume" edited by A. P. French (published by Heinemann for the International Commission on Physics Education, 1979). You may find copies of these books at a library or an old-book shop. 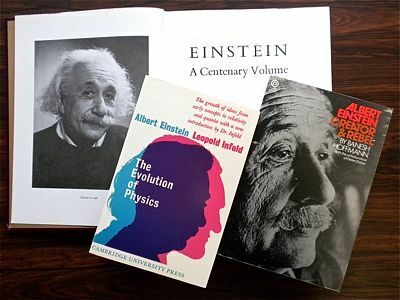 As for books by Einstein, "The Evolution of Physics" written together with one of his co-workers Leopold Infeld (Touchstone, 1967, still available; first edition 1938; my copy, Cambridge University Press, 1978) is one of the most excellent books for young people to learn about the development of ideas in physics from early concepts to relativity and quanta. By the way, it is Einstein's birthday and is also π day, today. The reason for the latter is that it is March (the 3rd month) 14th. So, his birthday is especially convenient to remember. Do you have any party for this day at your home? 8. "I Can't Get Gauss's Flux Theorem"
Gauss's portrait published in Astronomische Nachrichten 1828. Aaron: I have a problem with Maxwell's equations. We don't learn them at school, and there're a lot of math. I'm not ready for that level of math. So, I can't get Gauss's flux theorem. But I want to understand it. Ted: You are quite ahead of school lessons. 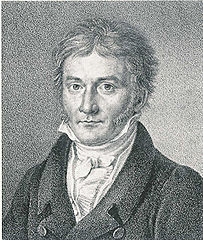 Gauss's flux theorem was formulated by Carl Friedrich Gauss in 1835 and is also known as Gauss's law. I learned it only at university. Concepts of physics can be learned to some extent without the use of math. For example, Gauss's law is stated by words as follows: The electric flux through any closed surface is proportional to the enclosed electric charge (quoted in Ref. 1 from Ref. 2). In The Feynman Lectures on Physics (Ref. 3), Gauss's law appears in Chapter 4 of Volume II after necessary mathematical preparation of "Vector Integral Calculus" in Chapter 3. Why don't you learn by the use of that fine textbook of Feynman? If you want to understand Maxwell's equations before studying Feynman's hefty books, however, Daniel Fleisch's A Student's Guide to Maxwell's Equations (Ref. 4) might be useful. Fleisch also explains the equations after giving the preparation of necessary mathematics. "Gauss's law," Wikipedia: The Free Encyclopedia (5 January 2012 at 13:53). Raymond A. Serway, Physics for Scientists and Engineers with Modern Physics, 4th edition (1996). Richard P. Feynman, edited by Robert B. Leighton and Matthew Sands, The Feynman Lectures on Physics, Boxed set: The New Millennium Edition (Basic Books, 2011). Daniel A. Fleisch, A Student's Guide to Maxwell's Equations (Cambridge University Press, 2008). 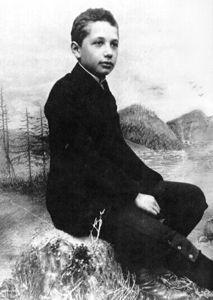 Albert Einstein in 1893 (age 14). Aaron: Would Einstein have liked Harry Potter or High School Musical, if he were alive now? What do you think about these fiction stories? Ted: Oh, these are not questions about physics but fascinating ones. I have never been well acquainted with those. However, I believe that I would have liked to read the book of Harry Potter and to watch High School Musical on TV, if I were now at your age. This is because I hear that these stories contain some flavor of science fiction and because, at the age of fifteen, I enjoyed reading Mark Twain's The Adventures of Tom Sawyer (in Japanese translation) and a science fiction series about space travel in a magazine for children. As for Einstein, it is extremely difficult to assess whether he would have liked Harry Potter or High School Musical. In his childhood, Einstein is said to have read and discussed many books with Max Talmey, a medical student from Poland. Those books are reported to have included a series of popular science books (Ref. 1). Einstein's mother was a talented pianist and ensured the children's musical education (Ref. 2). From these facts, it would not be totally wrong to think Einstein would have liked Harry Potter and High School Musical, if he were now at your age. Additional message written by Ted: Last evening, I was reading the book on the theory of time written, without using equations, by Sean Carroll (Ref. 3) and found that he, a theoretical cosmologist at the California Institute of Technology, mentions Voldemort and Professor Trelawney from the Harry Potter books. So, this famous scientist seems to have liked Harry Potter as you do. Isn't this a happy report to you? Banesh Hoffmann, Albert Einstein (New american Library, New York, 1972). p. 24. "Albert Einstein," in Wikipedia, The Free Encyclopedia (2 January 2012 at 19:05) footnote 1. S. Carroll, From Eternity to Here: The Quest for the Ultimate Theory of Time (Plume, London, 2010) p. 184. 6. What Is Dark Matter? Aaron: What is dark matter? How did they know about it? Ted: It is difficult for me to give my own, accurate description of dark matter. So, here I write a summary of the excellent Web page written by Professor Martin White at Lawrence Berkeley National Laboratory (Ref. 2). Dark matter is "stuff" which cannot be seen directly. Its existence is inferred indirectly from observations of motions of astronomical objects, specifically, stellar, galactic, and galaxy cluster/supercluster observations. The basic principle of these observations is that if we measure velocities in some region, then there has to be enough mass there for gravity to stop all the objects flying apart. Such measurements done on large scales indicate that the amount of inferred mass is much more than can be explained by the luminous stuff. Hence, we infer that there is dark matter in the Universe. For more details, see Ref. 2 and links there. * Baryonic matter is matter composed mostly (with regard to mass) of baryons, which in turn are composite particles made up of three quarks, and includes atoms of any sort. "Dark Matter," Wikipedia, The Free Encyclopedia (2 January 2012 at 17:44).